Join amateur Sherlock Holmes, Violet Remy-Robinson as she tries to track down a stolen mummy in this novel that’s part of a delightful detective series that’s perfect for fans of Robin Stevens’s Wells & Wong mysteries! 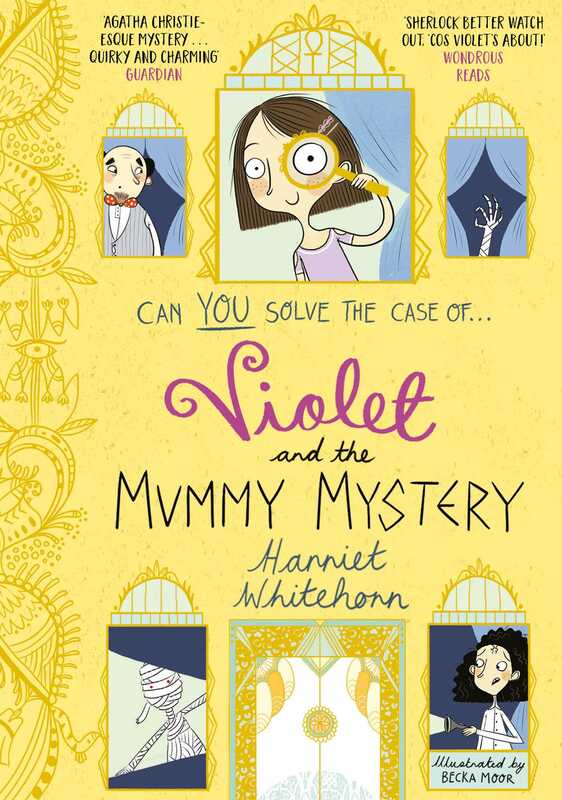 When Violet’s cousin Agnes and her Aunt Mathilde arrive from Cairo, Violet is delighted. Aunt Mathilde is a professor of Ancient Egyptology and has discovered a mummy that may be the key to revealing the secret location of Queen Nefertiti’s tomb. Violet can’t wait to find out more! So when the precious mummy is stolen from the British Museum, it’s a disaster. Who has managed to pull off this crime right under the security guards’ noses and where is the mummy now? It’s up to Violet and the gang to save the day!